Carnival has a portfolio of the world’s most widely recognized cruise brands, which complement each other by geography, serve nearly every segment of the cruise industry and provide our guests with virtually endless holiday choices—so many, in fact, that they need to look no further than the Carnival family when selecting a cruise vacation. The cruise lines within our portfolio include the most-recognized brands in North America, the United Kingdom, Germany, Italy, and Australia—areas that account for 85 percent of the world’s cruise passengers. This compelling brand recognition and presence will provide us with a solid growth platform as we enter new regions. Our broad product selection is geared to suit every conceivable taste, price preference and target market, including contemporary, premium and ultra-luxury. Our brands truly cater to the desires of different cultures, offering multiple languages and meeting varying entertainment and vacation preferences. Carnival Cruise Line is a leader in contemporary cruising and operates 25 ships designed to provide fun and exceptional vacation experiences that appeal to a wide variety of consumers at an outstanding value. Founded in 1972, Carnival Cruise Line is one of the most recognizable brands in the cruise industry and carried over 4.7 million guests in 2016, the most of any individual cruise brand. Carnival Cruise Line identifies their target customers as those who like to live life to the fullest, look at the glass as half full, feel comfortable in their own skin and make their own fun. 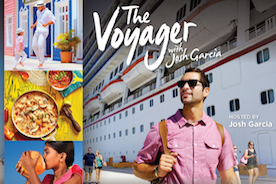 Carnival Cruise Line’s cruises have a broad appeal to families, couples, singles, and seniors and carried more than 730,000 children in 2016. In 2016, Carnival Cruise Line was voted "Best Ocean Cruise Line" in USA Today's 10 Best Readers' Choice Awards. In addition, Carnival Cruise Line also earned "Best-Value-For-Money" in the Cruise Critic's Editors' Pick Awards for the third consecutive year. The brand's newest ship, Carnival Vista, was named by Cruise Critic as the Best New Ship for 2016. 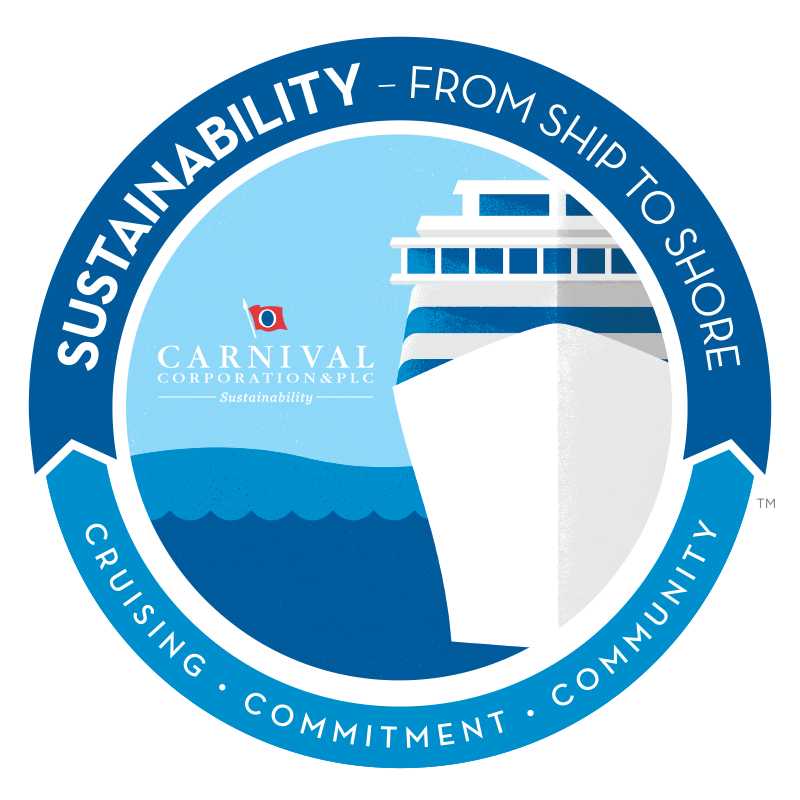 Carnival Cruise Line is scheduled to take delivery of two 3,900-passenger capacity ships, Carnival Horizon and her sister ship, in 2018 and 2019, respectively, and two 5,250-passenger capacity ships in 2020 and 2022, which will be the largest in its fleet. Carnival Cruise Line offers cruises generally from three to eight days with almost all of its ships departing from 16 convenient U.S. home ports located along the East, Gulf and West coasts, Puerto Rico and Hawaii. Carnival Cruise Line is the leading provider of year-round cruises in The Bahamas, the Caribbean and Mexico and also operates seasonal cruises in Canada, Alaska, Hawaii and Europe. In addition, Carnival Cruise Line deploys two ships in Australia, one on a year-round basis and one seasonally-based. These ships offer cruises tailored to the Australian market. Let Princess take you on a complete escape from the ordinary. Princess Cruises began operations in 1965. Currently operating a fleet of 17 ships visiting more than 350 ports around the globe, it is the world’s largest premium cruise line. Awarded Best Cruise Itineraries 11 times by Recommend magazine, Princess sails to nearly every corner of the earth, from Alaska to Asia and Australia, the Caribbean and Mexico, Europe, the Panama Canal, South America and more. The line offers cruises ranging from three to 20 days with longer exotic sailings from 25 to 111 days, including two world cruises. When sailing in the Caribbean, most of Princess' ships visit its award-winning private island in The Bahamas, Princess Cays®. Princess has four ships scheduled to be delivered: 3,560-passenger capacity Majestic Princess in March 2017 and three 3,660-passenger capacity newbuilds from 2019 through 2022. In addition, Princess guests can now choose a new premium stateroom category featuring VIP amenities and exclusive dining. The new Club Class Mini-Suite featuring priority embarkation and disembarkation as well as Club Class Dining, a reserved dining area with expedited seating and expanded menu options. Club Class guests will be among the first to sleep on the new Princess Luxury Bed, specially designed by Dr. Michael Breus, "The Sleep Doctor," and highly acclaimed designer, Candice Olson, to deliver the ultimate night of sleep at sea. More than 44,000 new beds will be rolled out to every stateroom across the fleet through 2018. Furthermore, our newly developed guest experience platform, designed to elevate service levels through enhanced guest interactions before, during and after cruise vacations, will debut on Regal Princess in November 2017, followed by Royal Princess and Caribbean Princess in early 2018. At the center of the platform is the Ocean Medallion™, a first-of-its-kind wearable device designed to enable a personal concierge, Ocean Compass, to deliver a personalized service not previously considered possible by interacting with thousands of sensors, kiosks, interactive surfaces and smart devices. With this innovation, from the moment our guests first engage with us, their experiences will be powered by their preferences. Services they desire will be delivered seamlessly, in real time, often without asking where and when they want them. At Holland America Line, we believe travel has the power to change the world. It enriches us as we discover new places, cultures and people. It’s this belief that drives our guiding purpose to help make the world a better place through opening minds, building connections, and inspiring a shared humanity. For 145 years, Holland America Line has been carefully crafting your clients’ next journey. Our fleet of 14 spacious, mid-sized ships offer a classic style of cruising to more than 425 ports of call in 100+ countries on all seven continents. To this fleet of 14 ships, we welcome our second Pinnacle-Class ship, Nieuw Statendam, when she debuts in December 2018 for her inaugural season in the Caribbean. Sister-ship to Koningsdam, her addition means that you now have twice the Pinnacle-Class experience to sell to your clients. For clients looking for the most complete and immersive culinary experience at sea, they’ll enjoy dining influenced by our global culinary council of seven world-renowned chefs. The Dining Room is renowned for everyday excellence, while restaurants like Pinnacle Grill, Tamarind, and Canaletto offer specialty options. Your clients can enjoy an extensive wine selection, chosen by our Wine Curator James Suckling; and spirits enthusiasts appreciate our classic cocktails, with direction from our Master Mixologist Dale DeGroff. But the experiences don’t stop there, as your clients can hone their skills with America’s Test Kitchen and explore the culinary side of destinations through exclusive culinary excursions by FOOD & WINE magazine. Through exclusive partnerships with highly acclaimed brands in entertainment and personal enrichment, Holland America Line ensures both days and nights are filled with delight and inspiration. Music Walk® features live performances at Lincoln Center Stage, B.B. King’s Blues Club and Billboard Onboard. The Mainstage features exclusive live performances and state-of-the-art theater technology. And your clients will enjoy fun and life-enriching activities and workshops in partnership with BBC Earth; O, The Oprah Magazine; America’s Test Kitchen; Microsoft Windows; The New York Times and Rijksmuseum. We invite your clients to join us for an unforgettable experience. Because travel is more than an itinerary. It has the power to change us and our world. Journey by journey. Seabourn, which began operations in 1988, provides the world's finest ultra-luxury cruising vacations on smaller ships that focus on highly personalized service and guest recognition. The line’s fleet of three 460-passenger and one 600-passenger ships, the youngest in the ultra-luxury segment of the cruise industry, offer spacious all-suite accommodations, award-winning gourmet dining, complimentary drinks and fine wines, unique experiences such as the Officer on Deck culinary event and shopping with the Chef excursions. 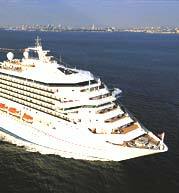 Seabourn launched its newest ship, Seabourn Encore, in November 2016 and has a 600-passenger capacity ship, Seabourn Ovation, scheduled for delivery in 2018. Seven out of the last ten years, Seabourn has been voted the “Best Small-Ship Cruise Line” by readers of Travel + Leisure. In addition, Saveur named Seabourn "Best Culinary Cruise Line" three out of the last four years by its panel of travel experts and editors. Seabourn has partnered with world-renowned American chef and restaurateur Thomas Keller to develop a selection of menu items for multiple dining venues aboard Seabourn's fleet and has introduced a new signature restaurant, The Grill by Thomas Keller. Seabourn pampers its guests with complimentary value-added extras such as Massage MomentsSM on deck and Caviar in the SurfSM beach parties. All of the Seabourn ships have a high service ratio of staff members to guest and an intimate, sociable atmosphere that has been the hallmark of the Seabourn lifestyle. Seabourn’s ships cruise to destinations throughout the world, including Europe, Asia, the South Pacific Islands, Australia and New Zealand, the Americas and Antarctica, with cruises generally from seven to 14 days, along with a number of longer voyages. 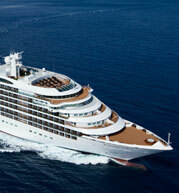 Seabourn has a multi-year agreement with the United Nations Educational Scientific and Cultural Organization (UNESCO) to support its mission of safeguarding unique cultural and natural features around the world and promote sustainable tourism, thus providing its guests with unique access to more than 150 World Heritage Sites. Founded in 1840, Cunard is globally renowned as operating the most famous ocean liners in the world and for offering legendary travel experiences with a heritage of iconic ships and outstanding service. Cunard has a unique and distinct position within the luxury travel market and received the coveted Travel + Leisure 2016 World's Best Award. 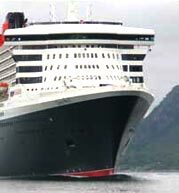 The line operates three premium/luxury ships, Queen Elizabeth, Queen Mary 2 and Queen Victoria. Cunard offers cruises to destinations in Northern Europe, the Mediterranean Sea, New England and Canada, as well as their iconic transatlantic voyages on Queen Mary 2. Most of Cunard’s cruises are from seven to 14 days with three world cruises of over 100 days. Cunard’s appeal is a combination of British elegance, exemplary service and sophistication and attracts an international mix of guests with nearly 50% of guests expected to be sourced from markets outside the UK. The brand sits in a unique space offering something no one else can; luxury on a grand scale. Guests enjoy a unique experience that celebrates the line’s British heritage including an enviable association with the British Royal Family. Her Majesty the Queen is Godmother to both Queen Elizabeth and Queen Mary 2. In 2016, Queen Mary 2 underwent one of the most significant remasterings in Cunard's modern history, with an investment of over $130 million. The remastering of the ship included the addition of new dining and lounge areas, and new and refurbished staterooms throughout and the introduction of cabins for solo travelers. The designs, whilst contemporary in feel, took inspiration from the great Cunard liners of the past, particularly the original Queen Mary. With its casual and premium-quality cruise concept, AIDA Cruises established a new chapter in the history of cruising in 1996. Today, AIDA Cruises is the market leader in the German-speaking cruise market. AIDA Cruises is the epitome of a premium-quality, relaxing cruise – its guests live and love the unique AIDA Cruises feeling. Instead of a Captain's Dinner, dress code and fixed meal times, unforgettable boundless diversity awaits them on board and on land. Guests enjoy being a part of the AIDA Cruises family and feel at home anywhere in the world. This feeling is cultivated by the friendliness of the crew and by having German as the onboard language. Every guest can experience a personal vacation and discover a new world every day. AIDA Cruises appeals to the lifestyle of active, open-minded people of any age with an amazing array of itineraries, destinations and shore excursions, culinary delights, world-class entertainment, wellness and fitness, and top-notch programs for kids and teens. 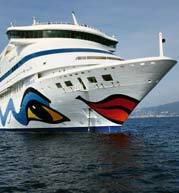 The smiling lips on the prow of AIDA Cruises ships is a promise to its guests: Vacationing with AIDA Cruises brings joy! The brand is passionate about hospitality, and the safety and well-being of its guests is top priority. Exceptionally well-trained personnel, high-quality offerings, carefully selected products and attentive service are a given. AIDA Cruises is setting standards within the international cruise market in every way. Its entertainment, wellness and shore excursion programs, kids and teen offerings, and the culinary variety are among the best on the seas. With a keen sense of what its guests want, exceptional ideas and the courage to innovate, AIDA Cruises wants to continue being one step ahead of its competitors in the future. AIDA Cruises operates one of the world’s most state-of-the-art fleets, currently comprised of 12 cruise ships with three new ships being built at the Meyer shipyard in Papenburg, Germany expected to join the fleet by 2023. Featuring Carnival Corporation’s “green cruising” design with dual-fuel engines, AIDAnova is the first cruise ship in the world that will be fully powered by liquefied natural gas (LNG) both in port and at sea, when it debuts in the fall of 2018. The use of LNG, the world’s cleanest burning fossil fuel, prevents emissions of particulate matter and sulfur oxides almost entirely at sea and in port. It also significantly reduces the emissions of nitrogen oxides and CO2. Costa has been providing cruises since 1948 and today visits more than 260 ports around the world. In 2016, its ships carried over 2 million guests. The brand operates a fleet of 15 contemporary ships and has two 5,220-passenger capacity newbuilds and two 4,180-passenger capacity newbuilds scheduled to be delivered between 2019 and 2021. 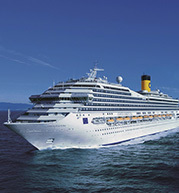 Costa is a leading cruise line in Italy, France and Spain where it boasts a tradition spanning close to seven decades. Its ships are deployed in the Mediterranean Sea, Northern Europe, the Caribbean, Brazil, Argentina, the Arabian Gulf and the Indian Ocean. 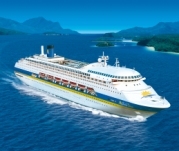 The line offers a wide range of unique itineraries, with cruises generally ranging from seven to 20 days and also has longer exotic sailings from 20 to 30 days and one world cruise. Costa is also a leading cruise line in China. Most of its cruises sailing in China are four or five days and cater to Chinese guests. Costa considers itself the world's ambassador of Italy’s finest. Its ships represent the best of Italy by offering beautiful Italian art, unique interior decorations with superb Italian mosaics and precious Murano chandeliers, fine Italian wines, excellent Mediterranean food selections and unique shops that carry well-known Italian fashion brands. Costa attracts international guests due to its multi-lingual service and is considered to be a top vacation provider in Europe. Costa is also known for offering innovative itineraries that combine the excitement of new destinations with pampering onboard service and ambiance. In 2016, Costa Diadema, the line's flagship, introduced a variety of innovations, some of which are being replicated fleet-wide, that make the guests' onboard experience exclusive and unforgettable. The new features include dining options created by Bruno Barbieri, who has earned multiple Michelin Stars, and enriched entertainment including the Voice of the Sea shows and Peppa Pig-branded kids games and educational activities. Lastly, in January 2017, Costa launched a new advertising campaign. This campaign further builds on the successful collaboration with worldwide music star, Shakira, that began in 2016 and further strengthened the brands' positioning as "Italy's finest." P&O Cruises (UK) is the leading and most recognized cruise brand in the UK, operating a fleet of seven premium ships. Its newest ship, Iona – a 180,000-ton vessel powered by liquefied natural gas (LNG), the world’s cleanest burning fossil fuel – will join the fleet in 2020. P&O Cruises (UK) sails to over 230 destinations around the globe, offering two- to five-night Short Breaks to World Cruises and everything in between. With indulgent holidays just for adults to family-friendly adventures, there’s a ship for every occasion and style. When sailing with P&O Cruises, guests can expect a blend of great service, relaxation and discovery. Tailored to British tastes, much-loved traditions, including black tie nights and daily afternoon tea, combine with the very best contemporary food and entertainment scene. Themed cruises featuring BBC ratings-winner Strictly Come Dancing and its professional dancers sail four times a year, and dining is enhanced through partnerships with Food Heroes, master pâtissier Eric Lanlard, renowned chef Marco Pierre White and wine expert Olly Smith. P&O Cruises (Australia), which began cruising from Australia in 1932, is the leading cruise operator in the Australia and South Pacific region. For the fourth consecutive year, P&O Cruises (Australia) was voted Australia’s "Most Trusted Cruise Operators" by Readers Digest in 2016. The onboard atmosphere is relaxed with a focus on contemporary design, great food, friendly service and a variety of exciting activities and entertainment. The line currently operates a fleet of five ships. In May 2017, the 2,000-passenger capacity Dawn Princess will be transferred from Princess to P&O Cruises (Australia) and renamed Pacific Explorer. P&O Cruises (Australia) sails to more destinations in Australia and the South Pacific than any other cruise line and offers cruises, generally from three to 16 days, from multiple home ports in Australia and New Zealand. In addition, the line's itineraries include remote idyllic ports of Papua New Guinea and Solomon Islands as well as a "taste" of Asia. 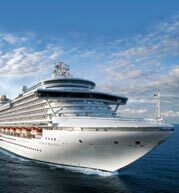 P&O Cruises (Australia) offers itineraries based around prominent Australian events including Melbourne Cup, Australian Open Tennis and Rugby League State of Origin. P&O Cruises (Australia) recently partnered with leading restaurateur and celebrity chef, Luke Mangan, and created a signature fine-dining restaurant, Salt Grill. In addition, recent refurbishments have replaced the traditional cruise ship buffet with an international market place of fresh food outlets reflecting the many flavors Australians love to eat.